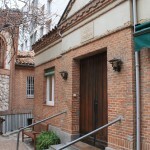 St. George’s is located not far from the centre of Madrid. As well as a beautiful Church we have a lovely patio, cooled in the summer by the shade of our 200-year-old fig tree, and a well equipped church hall which is available for hire. 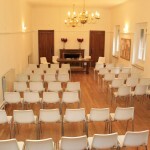 The Church Hall is available for private use and is the perfect venue for parties, classes, meetings and family events. The Main Hall can hold up to 60 adults or 25 children + adults (in the case of events for children such as birthday parties). There are 6 tables and 50 chairs. 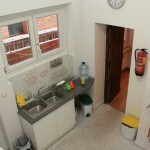 The Main Hall measures approx. 13 x 5 m². 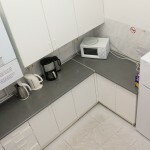 The Main Hall has a kitchen with a micro-wave, a coffee machine, a kettle and fridges available to users. 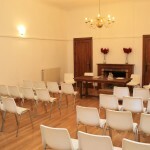 The hall is fully accessible and has toilet facilities for the disabled. 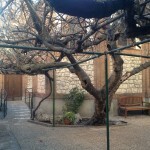 There is also access to the Patio outside. 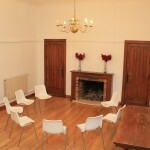 The Main Hall is available on Fridays at 4pm, all day on Saturdays and from 3pm on Sundays. Events must end at midnight. 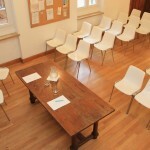 Hire of the Main Hall is subject to the “Conditions of Use”, a copy of which can be downloaded in English or Spanish.